Preface. Ethics--What It Is and What It Is Not. Thinking Well About Doing Good. Foundational Principles for Thinking Well. Beyond Ethical Decision Making. Respecting Others With Informed Consent. P.A. Daniel, K.S. Kitchener, Confidentiality: Doing Good, Avoiding Harm, and Maintaining Trust. Multiple-Role Relationships and Conflicts of Interest: Risking Harm. Sexualized Professional Relationships: Causing Harm. Competence: Doing Good and Avoiding Harm. Justice and Social Responsibility: Being Fair and Beyond. 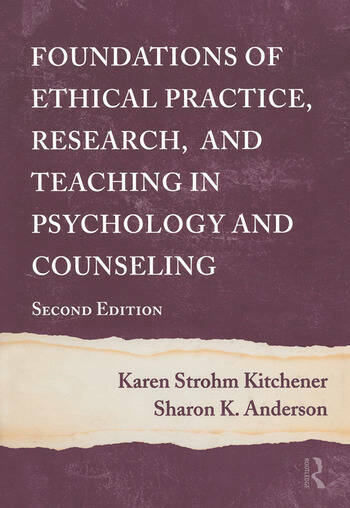 Appendices: APA Ethical Principles of Psychologists and Code of Conduct. Rules and Procedures. Ethics Cases.